I used to live in New Farm a while ago and always love being back here for engagements or weddings. It’s one of my favourite suburbs and it just makes me feel relaxed to stroll around my old hood. If you’re currently planning your wedding or if you have any questions, drop us a line via the button below. For editorials, styled shoots, collaborations and winery coverage, please email lovelenscapes@gmail.com. I used to live in New Farm a while ago and always love being back here for engagements or weddings. It’s one of my favourite suburbs and it just makes me feel relaxed to stroll around my old hood. The Brisbane Powerhouse upstairs is a perfectly gritty spot for a wild celebration and a beautiful alternative to other more polished city venues. In case you’ve ever wondered how to pronounce Moët or how to have your wedding ceremony painted by a live painter, this journal entry is for you. A big traditional Vietnamese wedding - our first! We were shooting alongside our cinematography mates from White Lace Films, though, who knew all about the traditions, so it was a breeze. Thi & Anthony - thank you and your beautiful families for a special day filled with family, culture, smoke bombs and great food! Millie & Tys put on a big love fiesta wedding nestled in the rainforest at Cedar Creek Lodges. Millie was rocking her Luv Bridal gown, twirling away on the rolling hills of Mount Tamborine. Oh, and did we mention that there were 8 bridesmaids and 7 groomsmen at this wedding… We had the best day roaming around in Kool Kombi’s VW mini busses for photo time at Tamborine Botanic Gardens and Robert Sowter Park Lookout and the mountains and the sun put on a bit of a show for us all. These two had our hearts as soon as we first met them for their engagement photos at The Happy Valley on the beautiful Sunshine Coast. Amy & Tim are one of those couples who make you feel like all is well with this world. 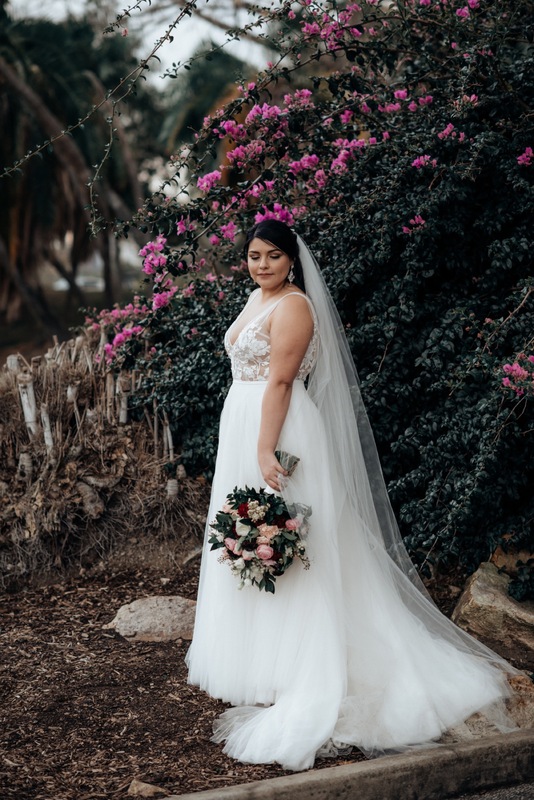 They celebrated their wedding tucked away in the Sunshine Coast Hinterland rainforest in the Glasshouse Mountains at Beerwah Hideaway and Amy rocked her blush Luv Bridal gown. Expect epic scenery and a textbook wedding kiss. You decided to have a first look before the ceremony. What is your advice for brides on the fence?